"Police firing will keep happening"
What are the most important issues for tribals in your region? Are they the same as they were 50 years ago? Tribals need development, like the rest of the country. I don't look at tribals with a separate perspective. We have been segregating them since independence. That's why they are backward. I think priority should be given to education, poverty and poverty. I come from a tribal society so I know. We did not even know the commercial value of the vegetables that grew in our area. So they would just lie and rot. The best index of development is whether people can make their produce available to the market or not. There are no separate models for development. It has to come through the same natural process. I saw my father borrow Rs 300 in 1966 and pay interest till 1978. We had to pawn jewellery to pay the interest for 100 kg of rice. Tribals get exploited because they are illiterate. We need to increase their interaction with the mainstream. We are doing a great injustice by segregating them. When did you rise to political prominence? What were the issues that propelled you to the political stage? I entered politics in the 1970s. It was by sheer fate. It is god who develops a political aptitude in humans. I felt that the Bharatiya Janata Party (BJP) had an integrated outlook. What is your vision of tribal development? I believe in the free market. I don't like to segregate tribals from the mainstream. Look at the Brahmins and Thakurs. They have prospered because they took risks. Look at all your top leaders. They are all from the upper castes. The British and the Marwaris prospered because they were prepared to go out of their areas and take risks. They worked hard and they prospered. I don't think this would in any way interfere with their cultural identity. A lot of what is called tribal culture was due to the problems specific to the times. They dressed sparsely earlier because there weren't enough clothes. Now they can dress properly. Let the tribal and non-tribal societies mingle, their cultural identity won't go. Segregation has harmed the tribals. I think they need to be well-connected to the rest of the country. What they need is good quality roads. Take the case of minor forest produce. You don't need to organise markets. Just make the roads and the markets will reach them. I have concentrated on building roads. Miracles can happen if there is good transport. The tribals have been told for too long that the mainstream would destroy them if they came in touch with it. Let them out in the open and compete. The 15,000 km of roads that we have are entirely insufficient. We need 50,000 km. The governor's speech in February 2003 mentioned that in 2001-02 and 2002-2003, 2,700 m of road construction was taken up under the Prime Minister's Gram Sadak Yojana but only 700 km was built. Besides, a team of the union ministry of road transport rated 90 per cent of the roads as 'poor'. What do you think? You can't have good roads in one go. It takes time. Education and industrialisation will help them develop. They need to learn computers. Education shows result in 10-15 years. I don't think people cannot learn just because of poverty or lack of infrastructure. Even in villages, youngsters imitate Sridevi and Amitabh Bachchan. They will learn the ways of development when they see development. But they will lose a lot in the interim. Take the case of mining. Once they are alienated from their land, they have nothing left. Yet there is mining happening all over Jharkhand in violation of the Samatha judgment. The gram sabhas are not consulted before mining begins. Is this development? Don't mix mining with gram swaraj. They are different issues. The gram sabha can mine minor minerals. But not iron ore and coal. Only the government can mine these. If we don't draw minerals, then development stops. We need to see how much weightage is to be given to the gram sabha's assent. The government should have the final say. Tribals say no to developmental activities because they haven't seen the fruits of development. Resettlement should be done beforehand. Maximum displacement happened only when tribals spurned jobs and employment. That's why non-tribals got all the jobs. Now that people are more educated, they can see long-term. We need to learn from our failures at rehabilitation, but we need to look ahead. Is there sufficient legal protection for tribal people? If indeed there are, then what are you doing to implement those laws? Are there any plans for new legislations? Yes, the laws are adequate. But they need to be implemented properly. Land alienation doesn't happen now. All that was in the past. We need to review the CNTA and the SPTA to check if they are benefiting the tribals. There are too many complaints of tribals not getting the market price for their land because they can sell it to non-tribals. I think after a review, we should have a Jharkhand Tenancy Act. The revolts happened because the British were exploiting the resources. Now, the Indian government is using those resources for Indians. There have been at least 14 incidents of police firing since the state was created. Isn't that shocking? There is nothing new about such firings. They will keep happening. How many times did the Tribes Advisory Council of Jharkhand meet in the two years that you were chief minister? It met only once. See, that's what I'm saying. Don't look at tribals in isolation. I am a tribal myself. I understand well what the community wants. 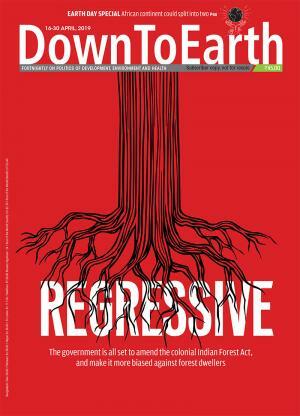 What is the role of the ecology and environment in the lives of tribals? The forest departments were created to cut forests, they can't save them. If the forests are to be saved, they should be handed over to the tribals.